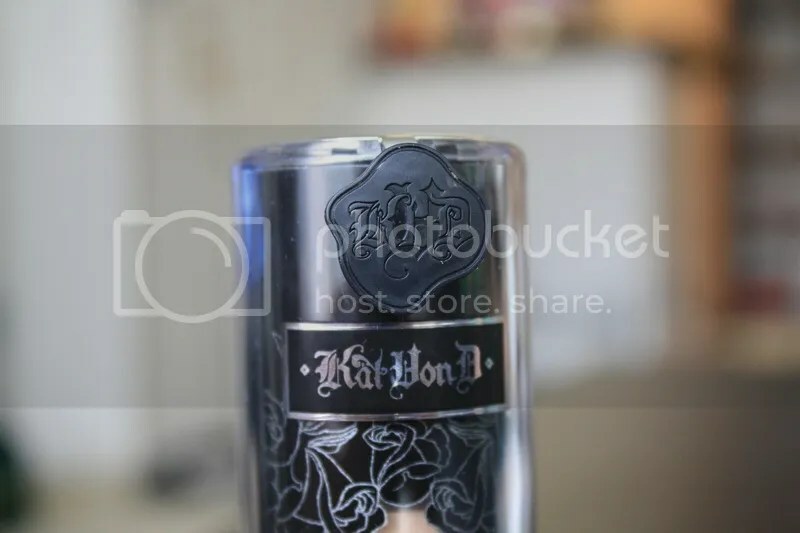 About 2 months ago, I bought the Kat Von D “Lock It Foundation” and I thought I would do a quick review on my thoughts on this product. 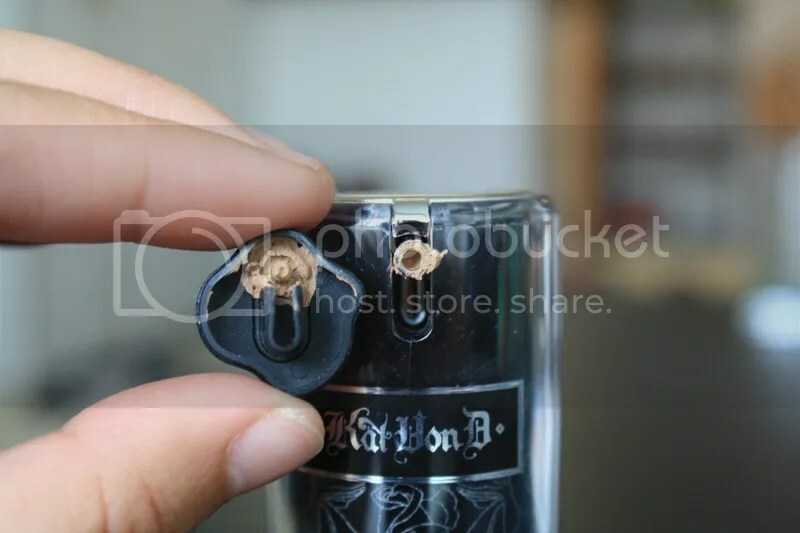 I have only tried Kat Von D’s pressed powder foundation and really loved it, but sadly it shattered. I’m always drawn to Kat Von D’s products because I know they are pretty good quality, high pigmented, and full coverage. I went to Sephora looking for a new high liquid foundation. 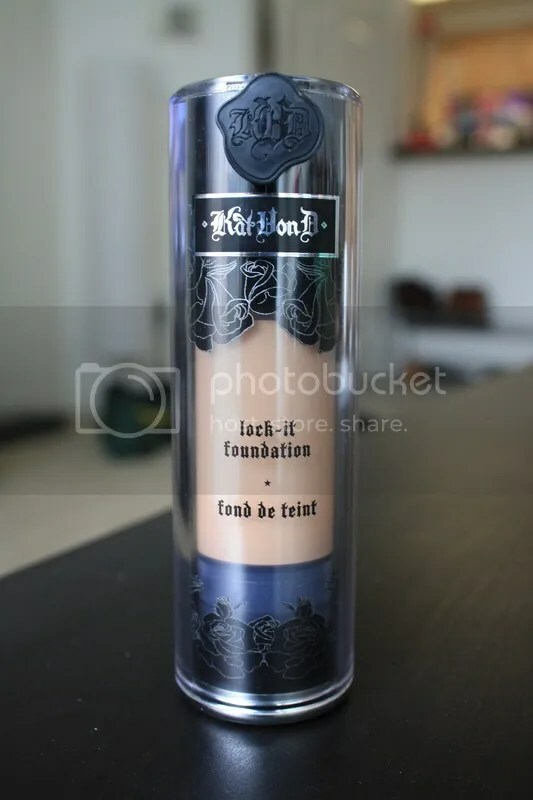 I was interested in the Kat Von D’s “Lock It Foundation” because it states that it is full coverage, 24-hour wear, transfer resistant, matte finish, fragrance free, and oil free. I’ve been using this product for past 2-3 months and I have been loving it. A lot of product goes a long way. I only use about 3/4’s of a pump of foundation and it covers my whole face. I use this foundation almost everyday for work and it last all day. It fades a little bit, but for the most part it is long lasting. There are a few negative things about this product. One, this product is a bit messy (see picture). The product clumps up at the pump and leaks a little when you try to cover it. Also, the product is a little hard to blend in than most foundations. Because it is full coverage and matte, the product is pretty thick. It probably takes me twice as long to blend. Overall, this foundation is great and good for full coverage and all day wear. I would highly recommend this for someone who is looking for a full coverage foundation, but if you need something more natural looking, I would recommend something else.